Multyfarnham Friary beside Lough Owel Lodge B&B. Multyfarnham Franciscan Friary was originally founded in 1268 and is dedicated to Mary, Mother of God, and to St. Francis of Assisi. The 700 year old Franciscan Friary includes extensive grounds. It was suppressed by Henry VIII in 1540, but the friars preserved a presence here – ‘a nest of scorpions’ as Queen Elizabeth described them – until they were scattered by Cromwell in 1651. The friary had fallen into ruin by the 19th century, but the Franciscans reoccupied it in 1827. A new friary was built in 1839 and a Seraphic College was opened in 1899. 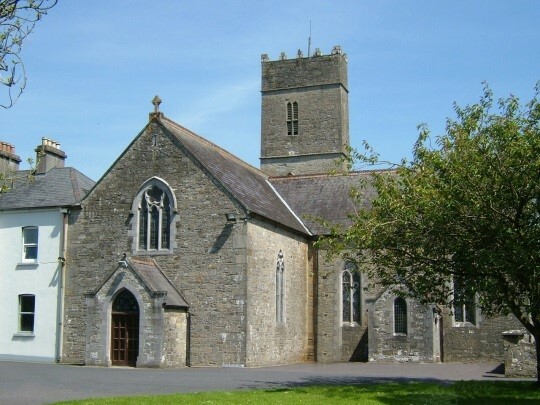 The abbey was fully restored in the early 1970s which included new stained glass windows showing the burning of the abbey in 1601, a priest holding a secret Mass, and the Legend of the Children of Lir. The beautifully laid out grounds contains life-sized Stations of the Cross, one of the finest outdoor shrines in Ireland.